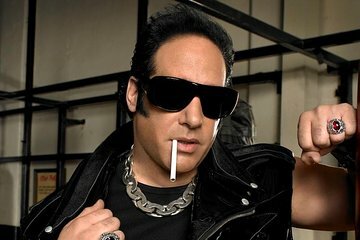 See Andrew Dice Clay perform his outrageous brand of comedy live in Las Vegas. Known as Heavyweight King of Comedy and The Diceman, Andrew Dice Clay has become infamous for his 'in-your-face' style of comedy, which he has deployed in large venues, including Madison Square Garden, since the early 1990s. You can choose either a general admission or VIP table ticket to watch him in action at the Tropicana Hotel during this limited run. WARNING: This show contains graphic language, adult satire, and strong sexual content. No refunds are given based on show content.